How often do caregivers feel that they are constantly running from place to place with a list of “to dos” rarely completed and a care recipient waiting on the other end demanding time and attention? If you are a caregiver this may describe your day to day reality; never enough time in the day and never any time for you. While it is true that we decide how we spend our time, when we accept the role of a caregiver, some of these decisions are made as the result of feelings of duty, responsibility or guilt. 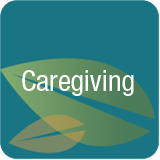 In my upcoming book, The Caregiving Trap: Solutions for Life’s Unexpected Changes® the importance of balancing caregiving relationships is discussed as well as the importance of caregivers taking time away from the role of caregiving. While the life of a caregiver may be hectic and constantly busy, the life of a care recipient may be a life of boredom and isolation. Have you considered how slowly the clock ticks for a loved one who may be confined to home because of physical disabilities or health concerns? Have you considered why a loved one diagnosed with memory loss may exhibit problematic behaviors when left alone for long periods of time? How many of you have a dog who has at one time or another gotten into a bit of trouble, maybe chewing up your most expensive pair of shoes or destroying a piece of furniture? If so you likely learned that the dog’s behaviors occurred as the result of a need for more stimulation, companionship or exercise. While comparing the behaviors of a pet to the behaviors of a care recipient may seem degrading, the premise is the same. When a care recipient or a pet is left alone for long periods of time with no activity, human contact or mental stimulation negative behaviors occur. When you return home, your care recipient craves attention and wants to be with you. Your only desire after a long day at work with many demands may be to retreat to a bubble bath or to read the evening newspaper and drink a glass of wine. You may be exhausted and your plan was not to devote more time and attention to a spouse or a parent care recipient—yet this may be exactly the action that you take. What about you? Statistics indicate that caregivers experience high levels of stress, anxiety, chronic disease and depression. While it may seem impossible to take time away from a caregiving situation, taking time away is exactly what you must do if you hope to manage your physical and emotional health. Find a family member or a friend who might spend an evening or a weekend day with your loved one or hire a caregiving companion agency to provide support. Little breaks, even if only for a few hours here and there, are beneficial to your ability to continue in the role of a caregiver without experiencing feelings of frustration and anger—common to many caregiving situations. You are not alone.